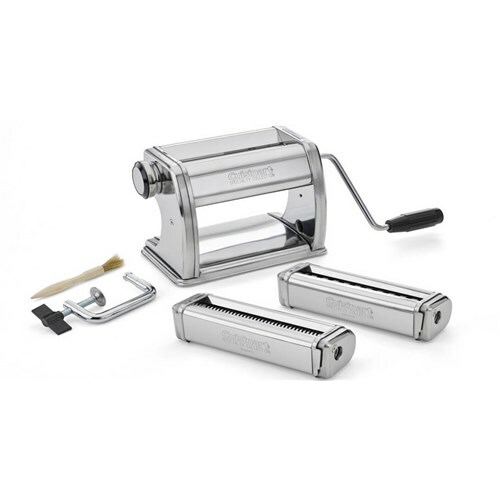 The Cuisinart CTG-00-PM is a pasta maker featuring two interchangeable pasta-cutting options. You can make an array of dishes like lasagna, spaghetti, and fettucini. 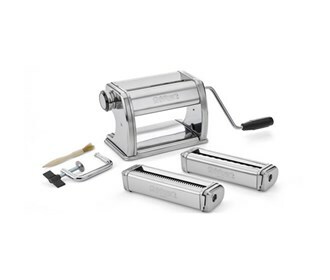 Make homemade pasta in three different styles with 9 different thicknesses, with this 5-piece pasta maker. The Cuisinart 5-Piece Pasta Maker has many exciting features for users of all types. See the Cuisinart 5-Piece Pasta Maker product video and gallery images above for more details. The Cuisinart 5-Piece Pasta Maker is sold as a Brand New Unopened Item.